Non-Gardening partner often brings me home gardening magazines and books from the big town library. 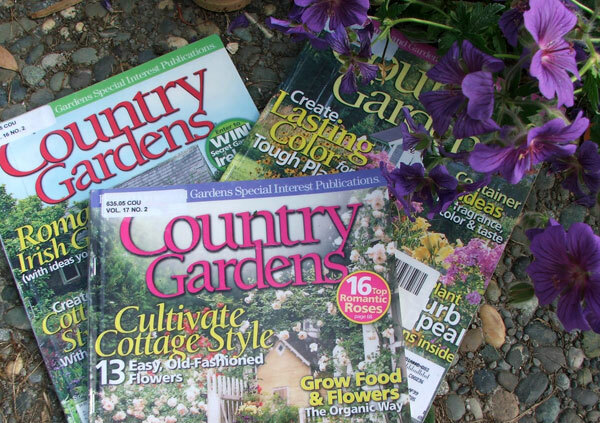 I've been enjoying his latest choice - it's called Country Gardens, an American magazine full of cottage garden style. Ha! As well as being a brilliant quick-flick read, this is a magazine with hidden depths. I've met delightful gardeners with pretty gardens, and found great information on garden design and plant choice - two aspects of gardening that I could certainly use some help with. 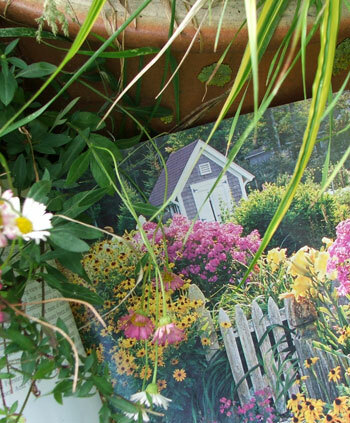 Cottage country may be 'out', but not in the Moosey Garden or the preferred Moosey reading material! I love the pretty roses and perennials in Country Gardens, and the layouts of the gardens pictured. My latest issue has a beautiful feature on Irish Gardens, and I've immediately been making secret plans for a modest Moosey tour of the Emerald Isle. And I absolutely adore the garden sheds.